We added some pretty new arrivals to our small flock of chickens this week. 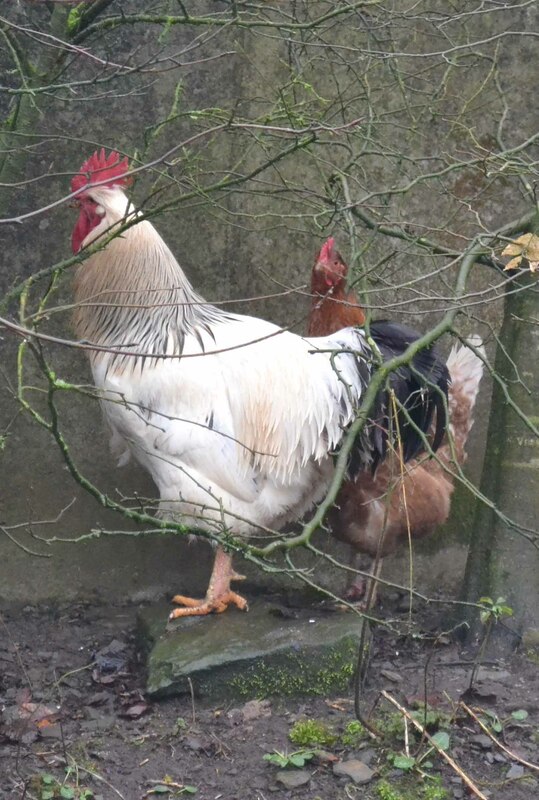 A friend was looking to rehouse some of her flock which had grown to over twenty and as our own had shrunk to three and a large rooster, we were happy to oblige. 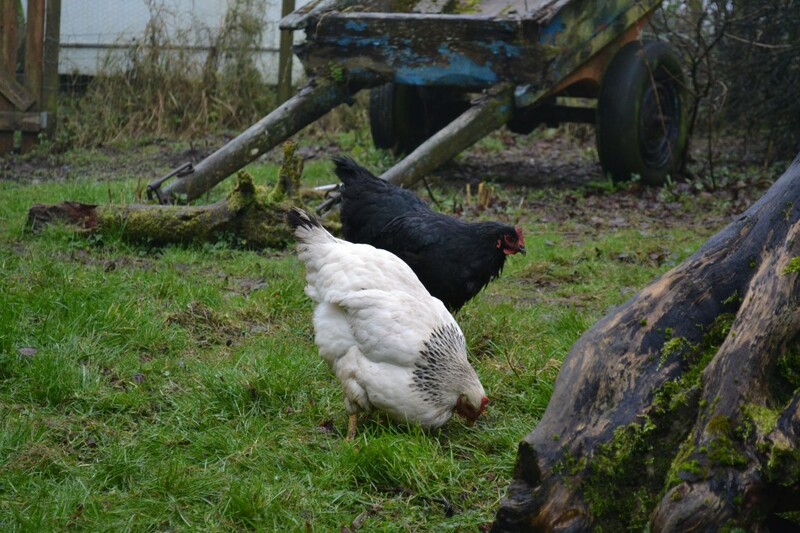 We’ve been keeping hens for their eggs for a few years now and if anyone reading this is thinking of doing likewise I’d definitely recommend getting some advice or taking a poultry course before you do so, such as the ones Fiona from Hunterslodge offers. We had no prior knowledge of hen keeping and it’s been quite a learning experience. 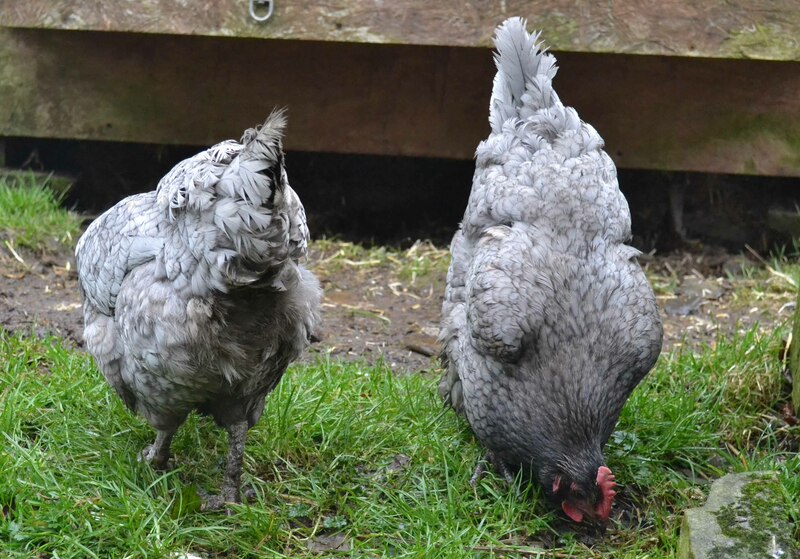 From scale leg to gape, broody hens, chicks and unwanted roosters, we’ve had to learn as we went along how to care for them… and it wasn’t quite as straight forward as we thought! A course at the beginning would have been very useful! We spent an entertaining hour watching the new girls settle in. Beaks were most certainly put out of joint from our existing hens and Bob couldn’t decide whether to mind his favourite ladies or try to make out with the new ones. Almost as soon as they arrived he headed over, lifted his wing slightly and attempted his sideways shuffle dance prior to jumping them, but the new hens were having none of it. They were much more interested in settling into their new surroundings than letting a randy new beau interrupt their grass pecking! 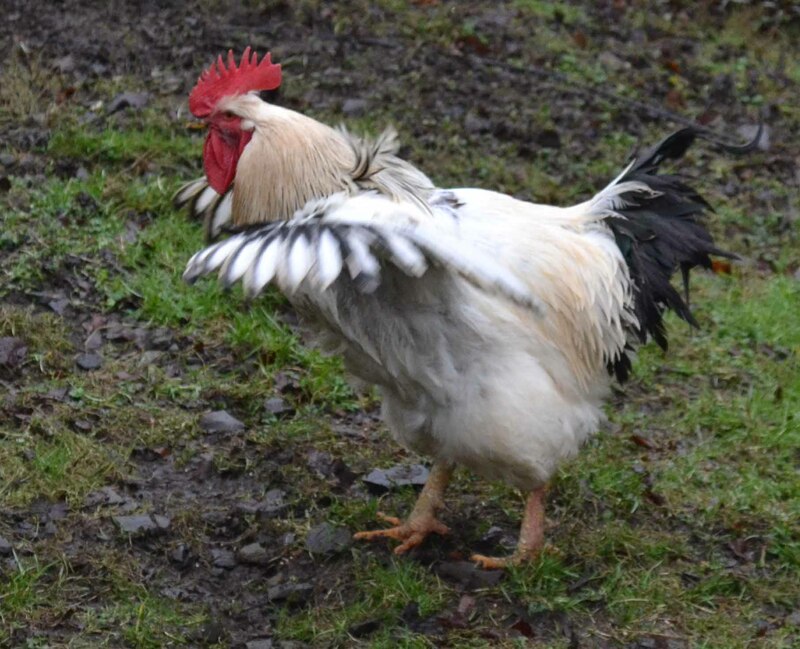 If you’ve never observed chickens scratching around you may be surprised at just how entertaining they can be. “Who’s the Daddy? I’m the Daddy! As most male of the species are want to do, Bob decided his best course of action was not to get involved in the squabbles between the women folk as pecking orders began to establish in his growing flock. He settled for keeping the peace. Whenever feathers and claws started to fly, he quickly stepped in and broke them up, flapping and clucking and crowing as he attempted to retain some order among his seven clucky hens. We’ve never regretted keeping chickens. Yes it can be tricky when we want to head off for a few days or a nuisance when it’s pouring with rain and we have to throw on the wellies and lock them up for the night. However, you really can’t beat eating a vibrant omelette knowing it’s originated from free range hens that have been fed scraps from the kitchen window or organic and GM free pellets. Our compost heap has never been better for all the nitrogen rich droppings that are now added to it on a regular basis either. Once they’re all laying we’ll be trying an honesty table outside the front gate for the excess eggs as Margaret has done. Now we’re happy keeping hens, this year we’re investigating the possibility of rearing pigs for the table and have learnt our lesson in terms of the livestock – we’ll be attending an Old Farm course on pig rearing prior to bring any piglets home! I keep meaning to get hens again esp now that we should have a shed free (was used by goats). Once the calves are all born and we have a free shed. We have a lot of foxes around here and have seen some in the daytime which isn’t terribly promising for free range eggs! I was thinking re the pig rearing course too! I had thought of getting 2 pet lambs from a neighbour and having 2 lambs for the freezer – still might, once this flipping flu shifts! We have a freemartin heifer too to be fattened although I think I’d need a chest freezer for all the meat but I’d love to have to get on with it and cook those cuts of meat that we just don’t tend to do anymore. 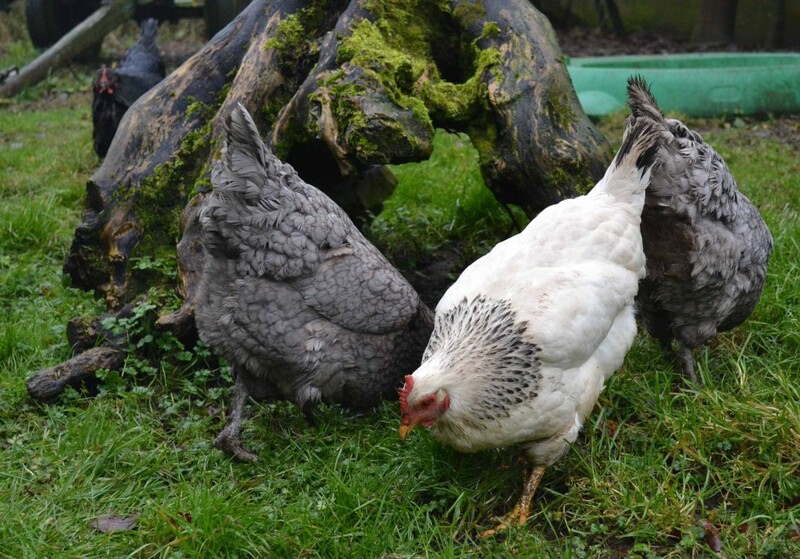 Lovely photos of your hens, they really are pretty ones. Dee, love this post! Great picture in my mind of you all jumping in to grab your favourite hen! Could the black one be a young Austrolorp? I am still in shock that the honesty table has taken off. Don’t have sales every day, but most days. Did have to put an extra notice that ‘eggs and change are in box’…. people didn’t understand! Looking forward to having you (and Lorna) along for pig-rearing!!! !